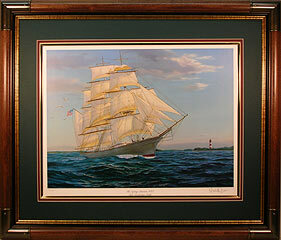 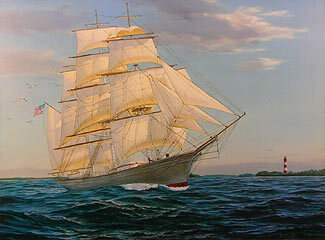 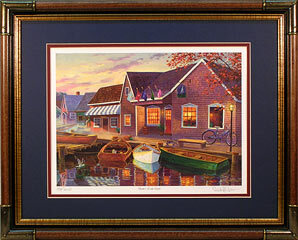 Image Size: 13 1/2" x 18 1/4"
Frame Size: 23 1/2" x 27 1/2"
Randy McGovern: I love Nautical art and plan a larger clipper ship soon. 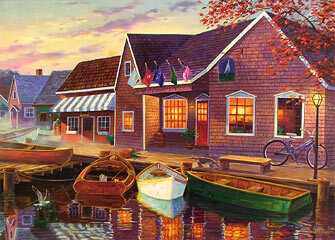 Print below is both Nautical Art and Waterfowl Art at exact same time! 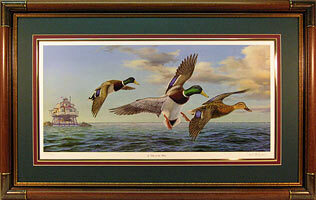 Image Size: 12" x 25 1/2"
"A Day On The Bay" - Mallards/Thomas Pt.